When we have tortillas on hand, we use them for breakfast, lunch, a snack or even for dinner. 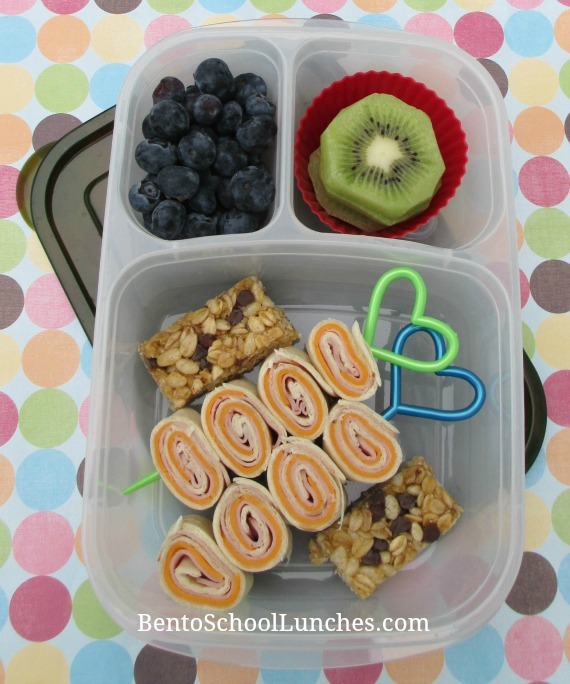 Today I am sharing 5 ways in which I have used them in Nikolai's school lunch. 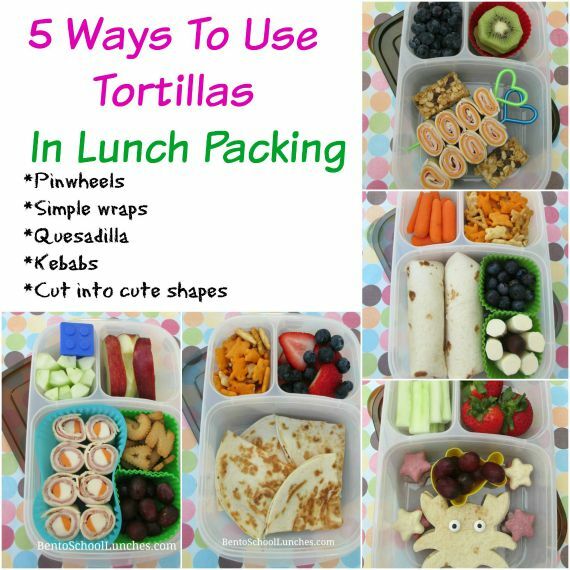 There are many varieties of tortillas such as whole wheat, spinach, tomato etc and we use many of them at various times but I only had flour tortillas on hand when I made these lunches. 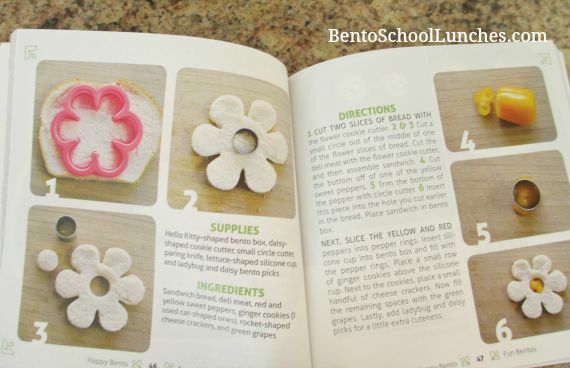 Bento lunch 1: Pinwheels. This time I used a sting cheese instead of cheese slices which I often use. I lay the tortilla flat, added the deli ham and the string cheese, roll and cut to bite sized sections then arrange as desired. He also had some alphabet wheat cookies from Ikea and seedless red grapes in square silicone cups, organic apple slices, cucumber sticks and hummus in the small blue container. 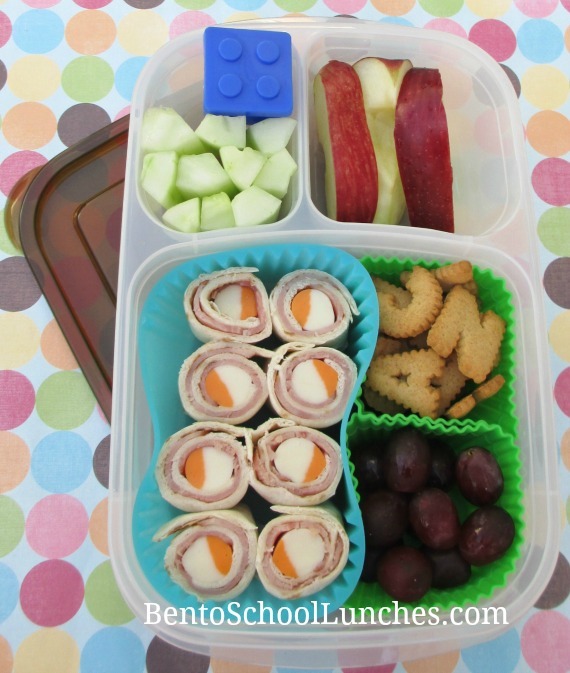 Bento lunch 2: Simple wraps. 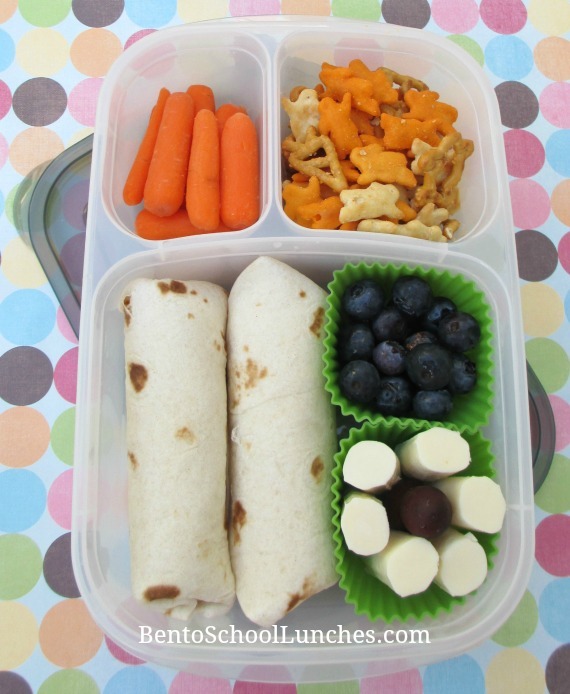 This is so easy, I've made these wraps for my own lunches numerous times. You can use any foods that you prefer for the filling. Beans, rice, and chopped up leftover steak are some of my personal favorites. His sides were blueberries and string cheese with grapes in square silicone cups. The top section contains organic baby carrots and Annie's organic crackers with pretzels. 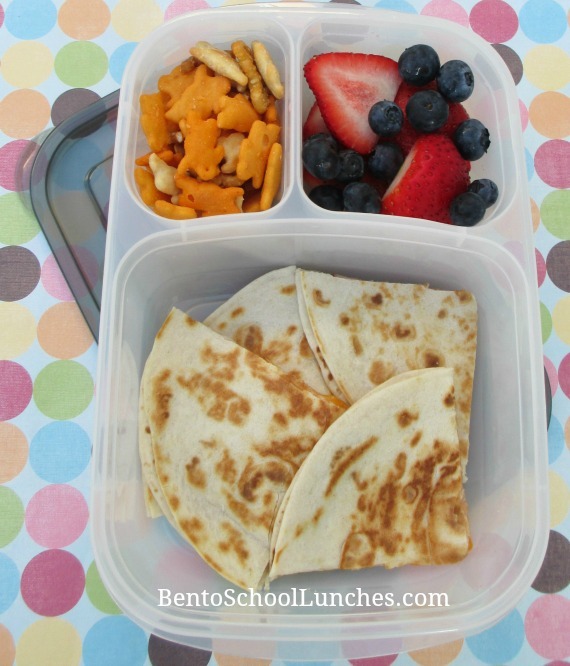 Bento lunch 3: Quesadilla. We have been enjoying quasadillas a lot lately, and Nikolai suggested that I should pack them for his school lunch at least once a week. I'm happy to oblige and you may be seeing more quesadiila lunches in future posts. I pan friend these in the morning while Nikolai was having his breakfast, and made some extras for my hubby's and my own breakfast. He also had strawberries, blueberries and Annie's organic crackers as sides. 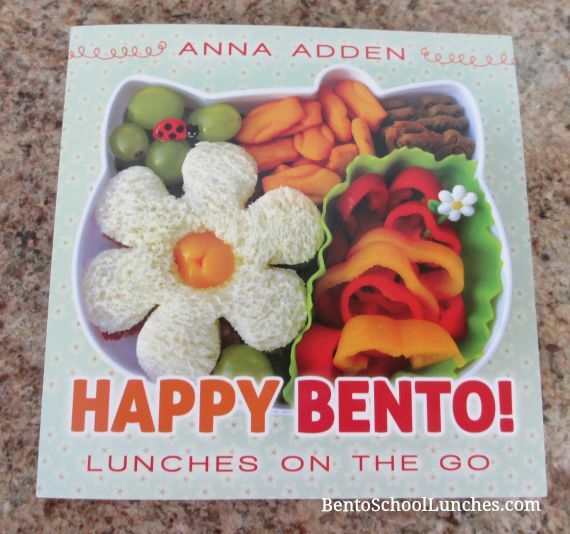 Bento lunch 4: Kebabs. Most kids love kebabs and I have made them both with tortilla and bread. I find that using tortilla is a little convenient and they turn out looking neater. Using bread is just fine but it's an extra step which is rolling the bread flat with a rolling pin first. I made a couple of kebabs and inserted them into some long picks. He also had organic granola bar cut into half, organic kiwi slices in a round silicone cup and blueberries. 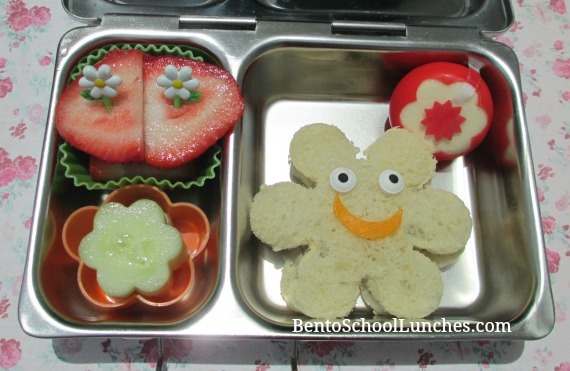 Bento lunch 5: Tortilla cut to cute shape. 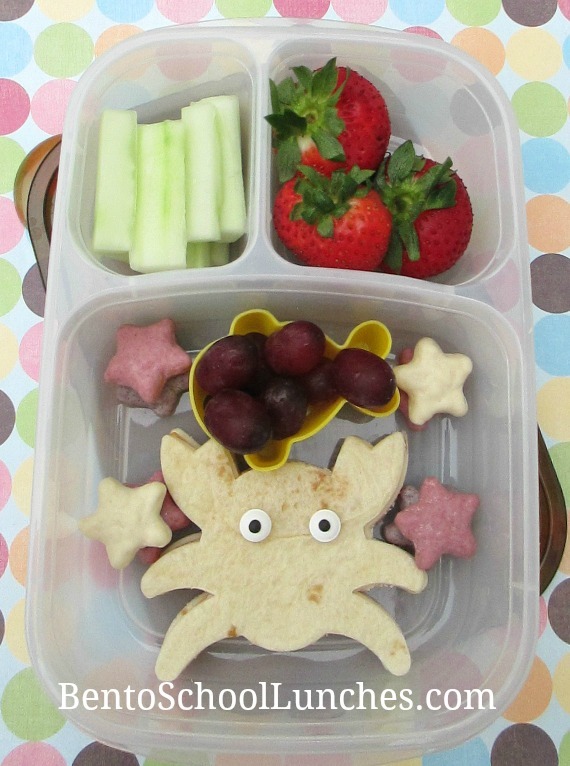 This is a fun one, you can use any shaped cookie cutter that you have, I used a crab shaped cutter from my animal pals set for this lunch. You see, the set comes with 50 cute animal cutters and you can make at least 50 lunches with just this set, not to mention repeats. I added a couple of candy eyes to the crab shaped tortilla, Trader Joe's yogurt stars and seedless grapes in a fish shaped silicone cup. He also had cucumber sticks and strawberries. There are many ideas out there that you can use tortillas, such as tortilla pizza, tortilla cups, tortilla chips and more. What is your favorite use of tortillas? These lunches were packed in our Easylunchboxes urban. Looks delicious and great ideas! Very cute and all looks yummy! I love tortilla wraps too, I don't use them often enough! How do you keep the tortillas from getting soggy?? I can never keep mine from getting that way. I've never encountered soggy tortillas and not so sure how to prevent them from getting that way. What I've heard was you can wrap them with parchment paper, that might help.